On Sale Now! 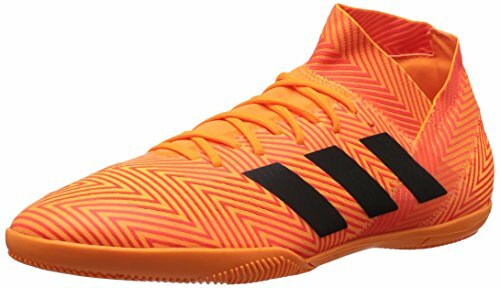 Save 2% on the adidas Men's Nemeziz Tango 18.3 Indoor Soccer Shoe, Zest/Black/Solar Red, 10.5 M US by adidas at Stuart Pynoo. MPN: DA9621-810-10.5 M US. Hurry! Limited time offer. Offer valid only while supplies last. In the cage. On the court. You see space everywhere. When the walls close in, your stealth and agility turn every opening into an escape route. In the cage. On the court. You see space everywhere. When the walls close in, your stealth and agility turn every opening into an escape route. Create a new path to victory with Nemeziz Tango. Engineered to provide support and mobility, these men's soccer cleats have a rubber outsole optimized for indoor surfaces.